Last important meeting before baby? This morning we had a meeting with a technology investment company here in Stockholm called Northzone. We are not in urgent need of funding, as we are still afloat from the investment round we closed last year, but at the end of this year we are looking to close a new round. Northzone would be a cool partner for NaturalCycles, so we are starting to get to know each other. The meeting went well and we’ll meet again at the end of June. This reminds me that we’ll have to find a nanny for future meetings that require the presence both Raoul and myself. Today might very well have been the last important meeting before baby. We do have another meeting with our future business partner on Thursday afternoon, but there’s quite a risk that I won’t make it to that one. I hope it will not coincide completely with the birth, because then Raoul will not make it either. Well, well, we’ll just have to take things as they come in the next few days. This Monday, NaturalCycles pitched at the Investing in Women Meetup. It was very exciting since, for once, the audience consisted of 95% women. Usually when we present our start-up to a mainly male audience. As usual Raoul and I shared the pitch 50%-50%, which I think is a nice way of doing it. We talked about how NaturalCycles is the best natural contraception out there and then finish with our own story – how we first used NaturalCycles as contraception for 1.5 years and then posted on twitter that we’d try for a baby on our wedding anniversary, which as you all know worked very well 🙂 The response we got was very different with a female audience and they were cheering a lot during our pitch. It was really fun and encouraging! 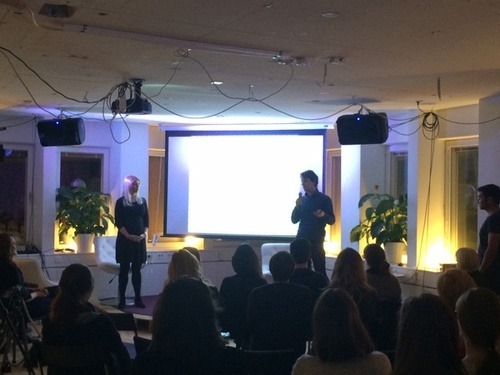 Next Tuesday we have another pitch at the Sthlm Innovators event. We are becoming good at this! Tonight I’m off to try out pregnancy pilates for the first time. I was choosing between pregnancy yoga and pilates and I imagine pilates being a bit more of a work out. I’m used to jumping around at zumba, so the more action the better. I’m not really patient enough to just focus on my breathing for an hour. 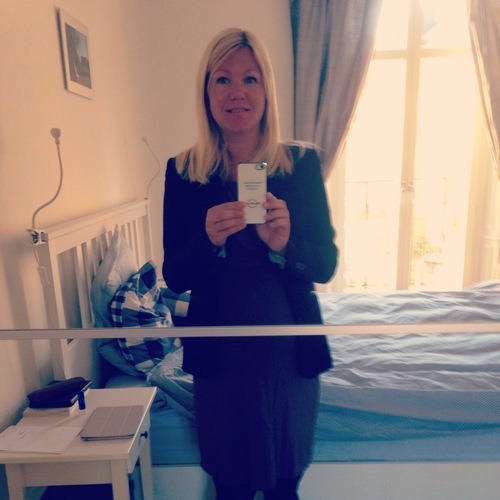 I hope the pilates will be fun and that I get to meet some other cool pregnant women here in Stockholm!